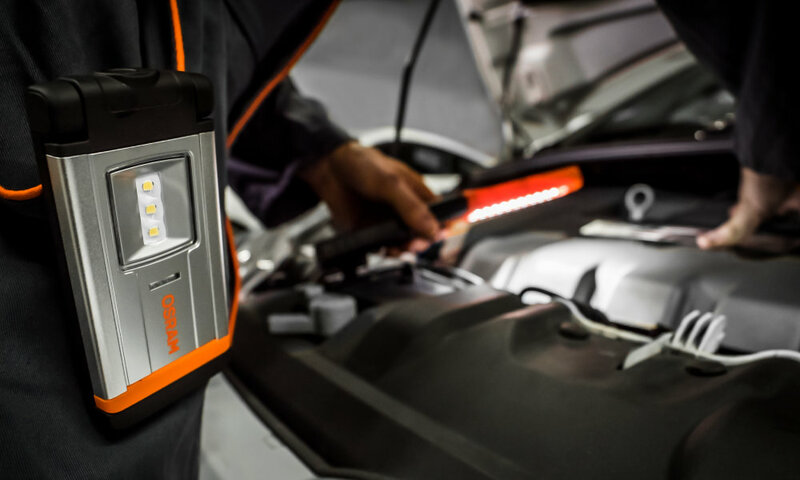 The new LEDinspect PRO inspection lights are especially developed for the complex maintenance and repairs you tackle every day in your garage. 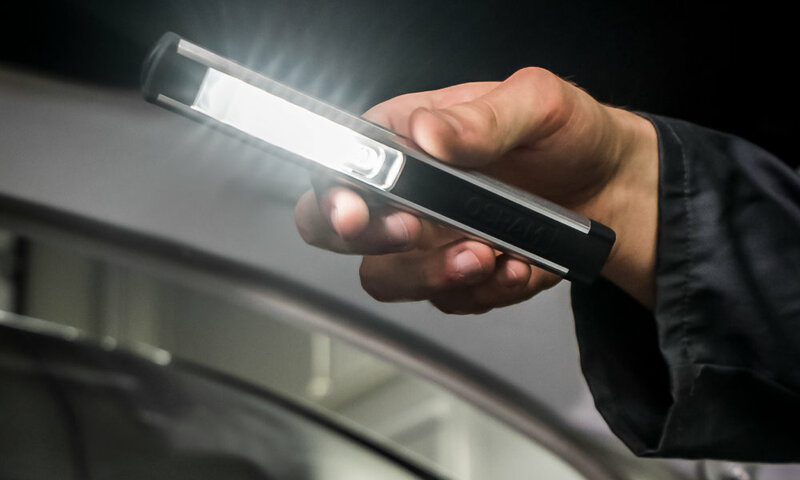 LEDinspect PRO enhances visibility with advanced LEDs that deliver exceptional luminosity: intense white light with a color temperature up to 6,000 Kelvin. 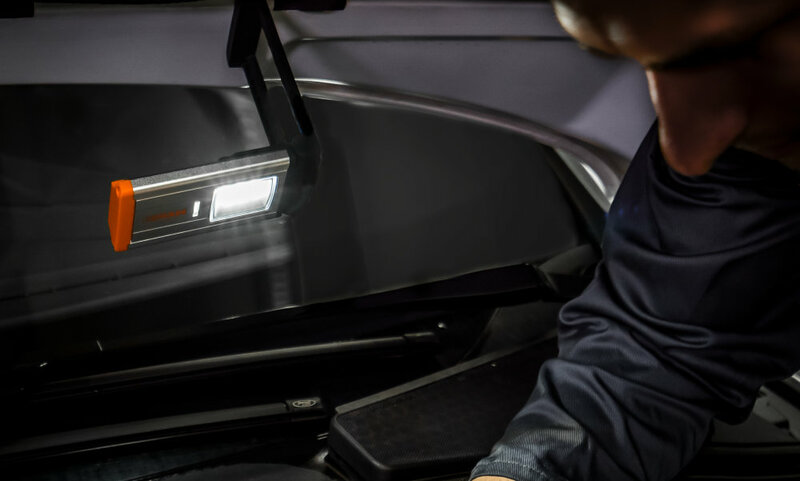 Each unique lamp design reflects an understanding of professional applications and supplies light precisely where you need it. Especially practical: almost all of the lamps are equipped with a durable and rechargeable battery, which enables especially pleasant work. 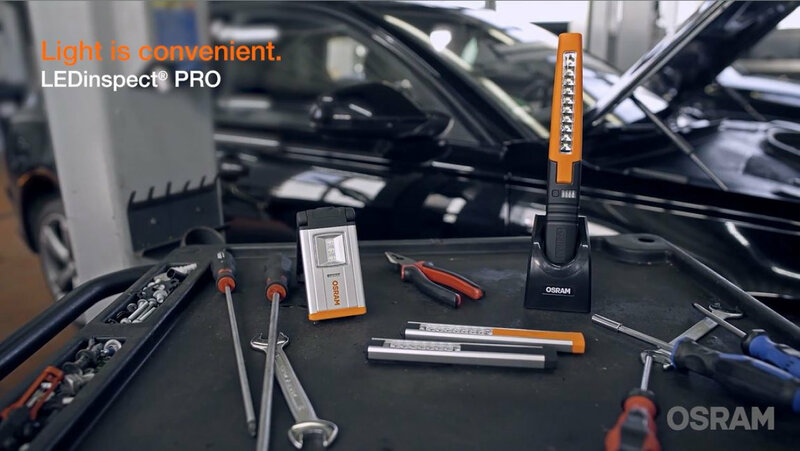 Furthermore, the LEDinspect PRO products are easy to grip, have a dirt-resistant surface, and are water-resistant (according to different protection types). 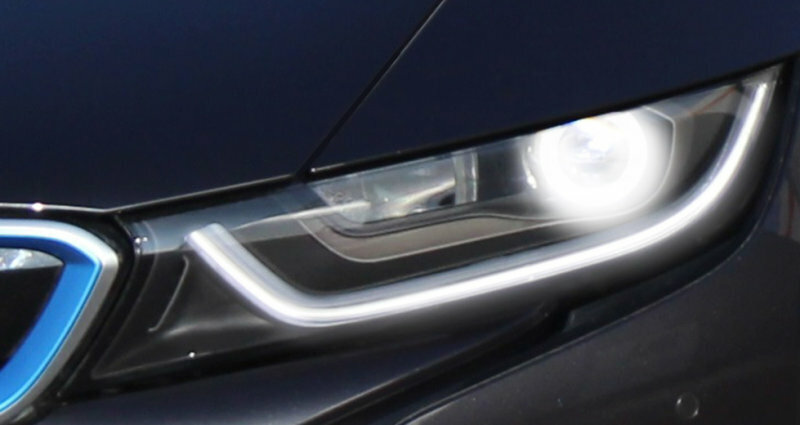 Many lights include features such as magnets, clips, hooks, torches, and extensions to direct light and give you hands-free options. 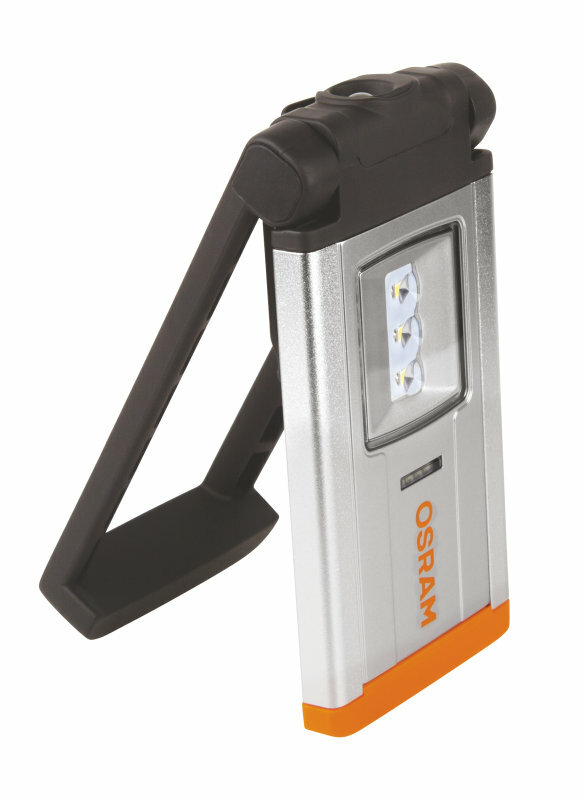 With 15 powerful OSRAM LEDs and two lighting settings with up to 500 lumen, the LEDinspect PRO SLIMLINE 500 is a LED inspection accessory that produces powerful light for your garage. In addition to its robust aluminium premium design, the durable fixture is equipped with a bending mechanism of 150° and is magnetic. 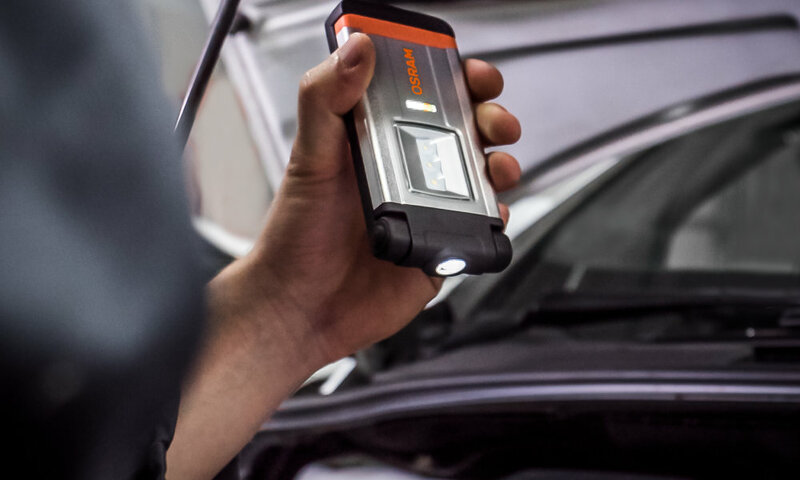 No batteries are needed – LEDinspect PRO SLIMLINE 500 can be easily charged via USB port and DC connection and provides up to 4.5 hours operation time. 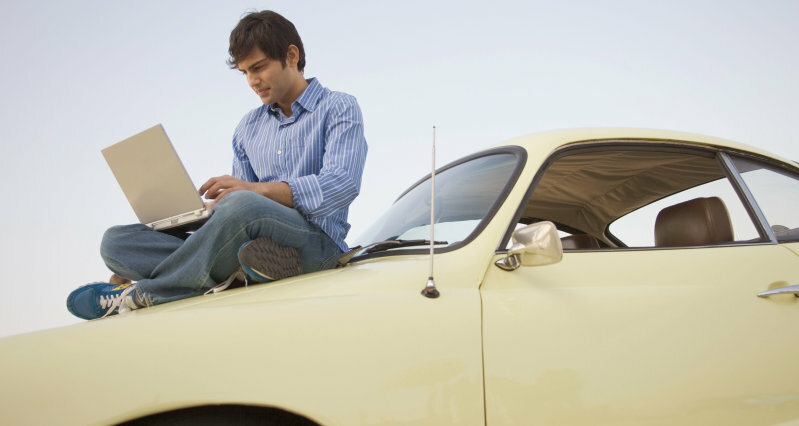 LEDinspect PRO SLIMLINE 280 helps you to see better when working at your car. 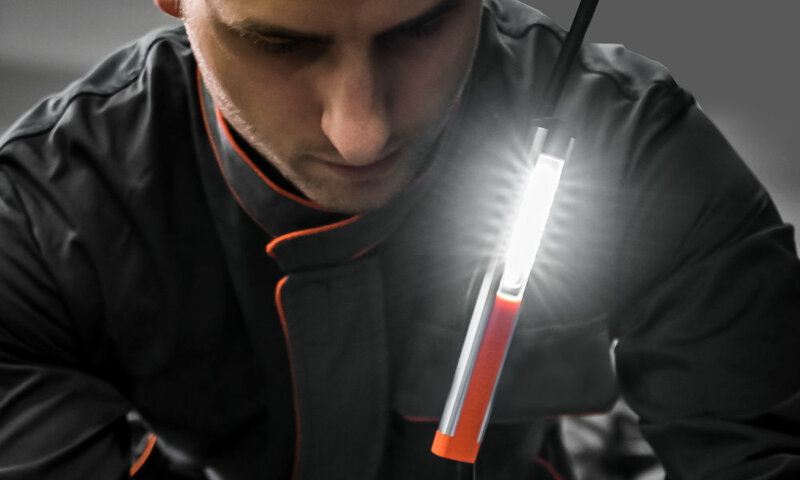 This rechargeable and bendable inspection light works up to four hours on a single charge. 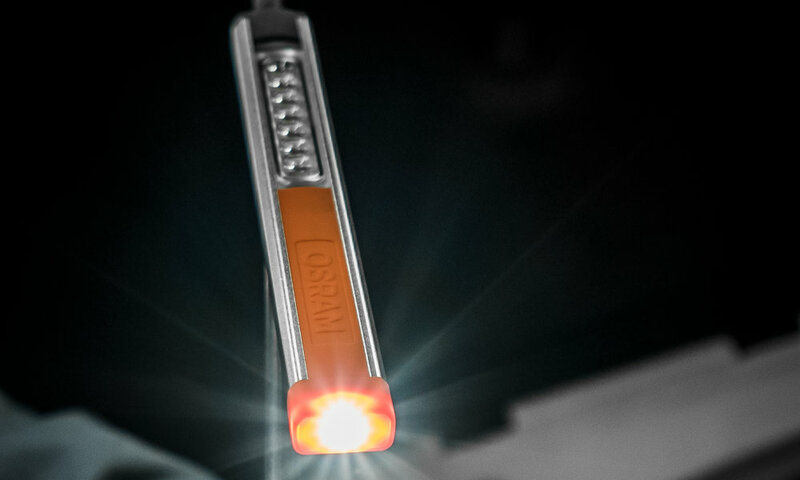 High performance, long-lasting LEDs produce a powerful light for your garage. 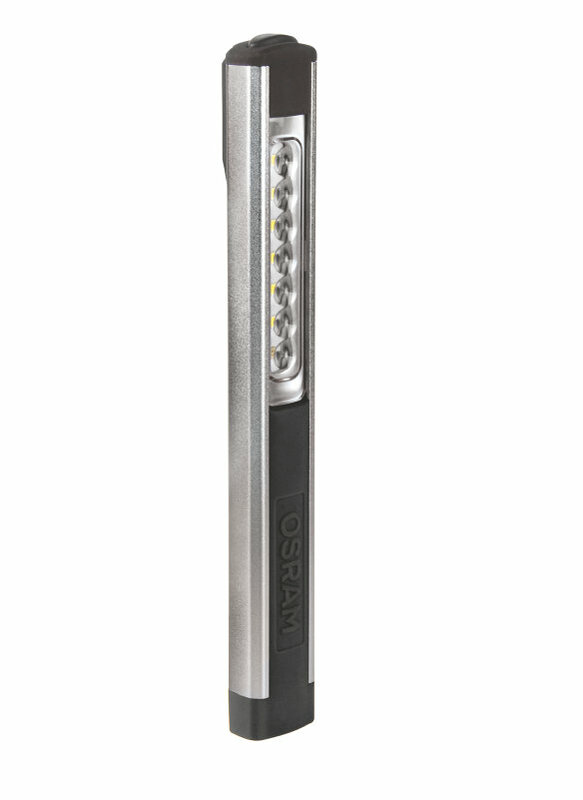 In addition to the high-powered main light (280 Lumen), this durable fixture has a torch function (70 Lumen). It comes with integrated battery and docking station. LEDinspect PRO BONNET 1400 provides a powerful LED light output with up to 1,400 Lumen. 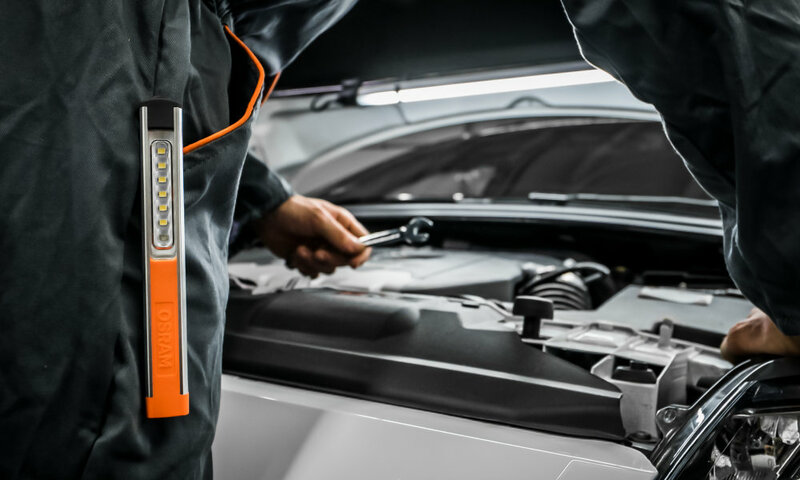 With its ultra-thin and robust design and the adjustable telescopic mounting, this inspection lamp will illuminate every engine or interior compartment of your working area. 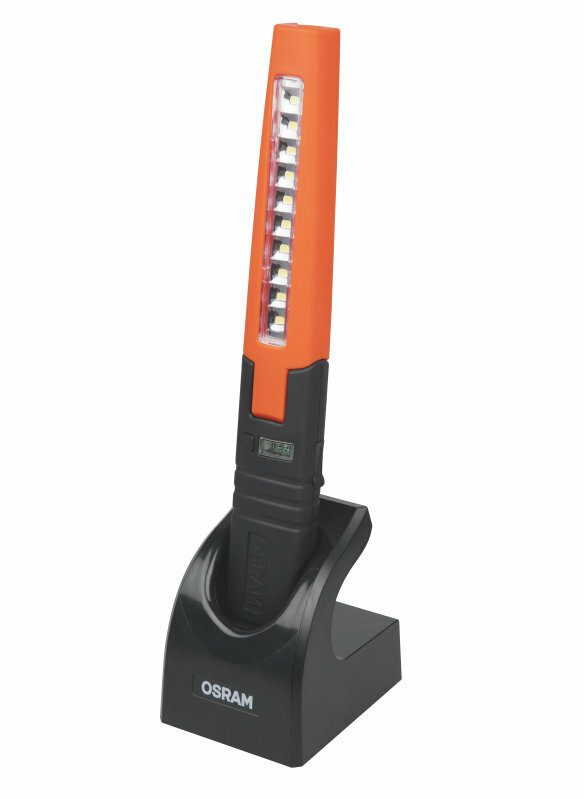 It supports your work with homogenous illumination on a length of 1.80 m and with an optional extendable bracket. Charging is quite easy with its 5 m cable. 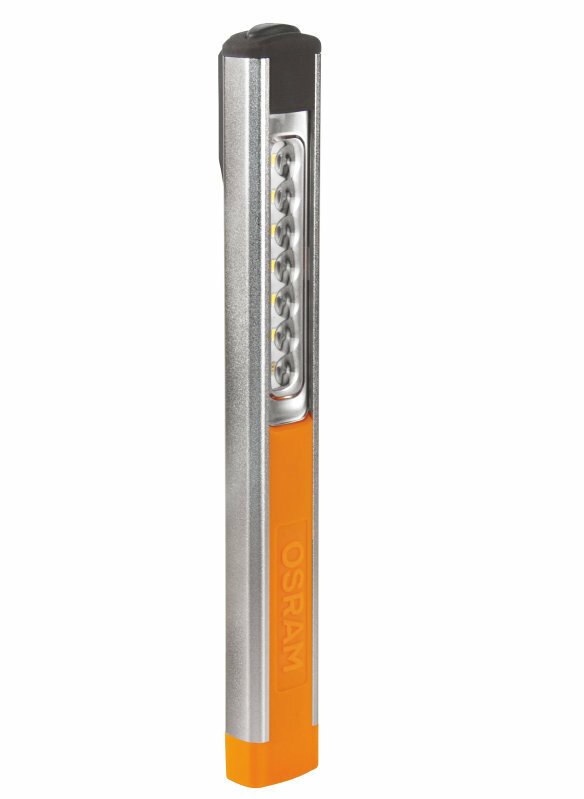 LEDinspect PRO PENLIGHT 150 is with its 150 Lumen one of the brightest penlights in slim design. It provides an intense white light with up to 6,000 Kelvin. 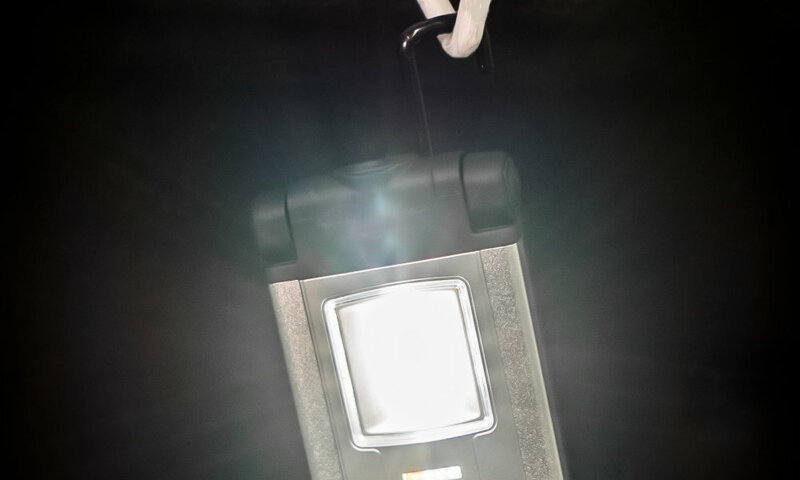 The inspection light can be flexibly mounted thanks to a magnet and clip so you can keep your hands free while working. No batteries are needed - you can charge it via USB port, DC, and AC connection. 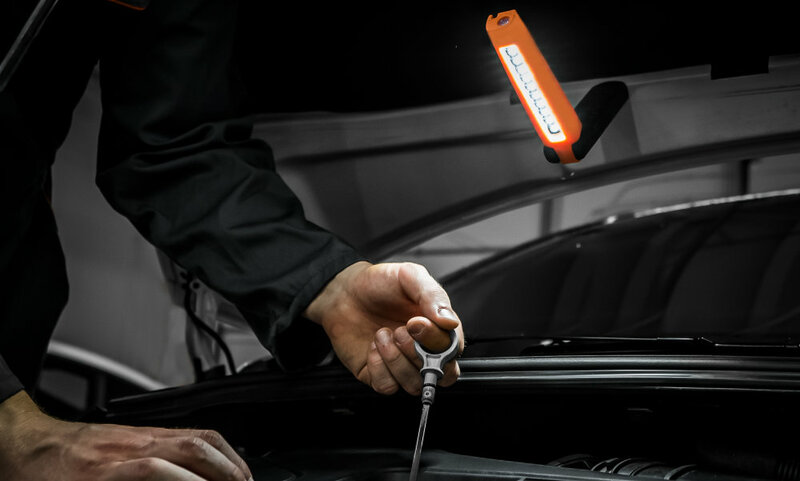 LEDinspect PRO PENLIGHT 150 UV-A gives you light where you need it the most when working on your car. 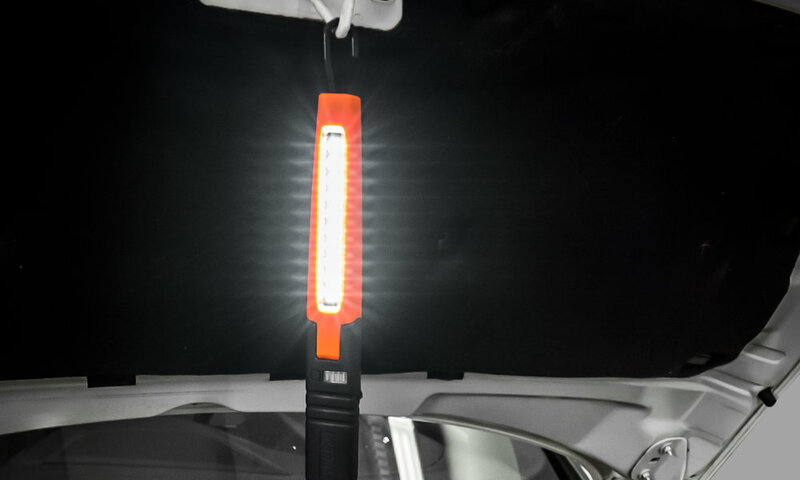 Thanks to long-lasting, high-intensity LEDs, this inspection light provides excellent illumination. 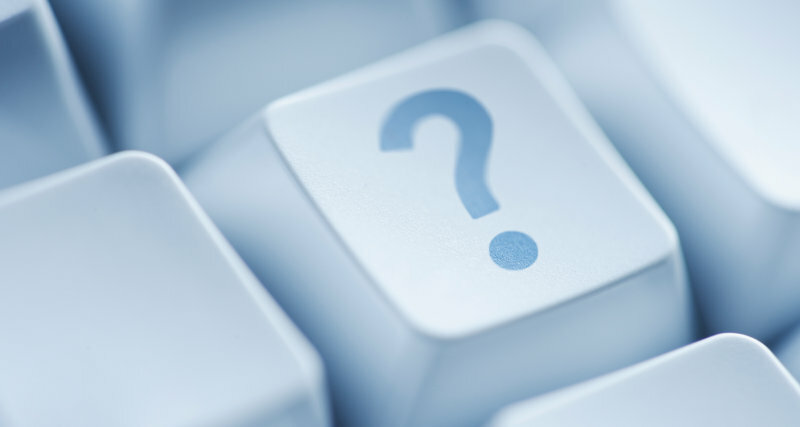 Furthermore, its light-emitting diodes are optimized for ultra-violet light, =a feature that comes in handy while working on air conditioners, for example. With this penlight, you will discover even the smallest leaks.